Uniqueness of this attraction Melaka (Malacca) is another melting pot of Malaysia, similar to Penang with rich cultural and historical heritage. Just after the street art boom in Penang, Melaka immediately jumped on board as tourism was in fact the biggest contributor to the state. There are so many street paintings all over the old town of Melaka, it is almost impossible to list them here. One of the most famous ones would be that huge Orang Utan mural at the Orang Utan House which has been there for ages, since around 2008/2009. 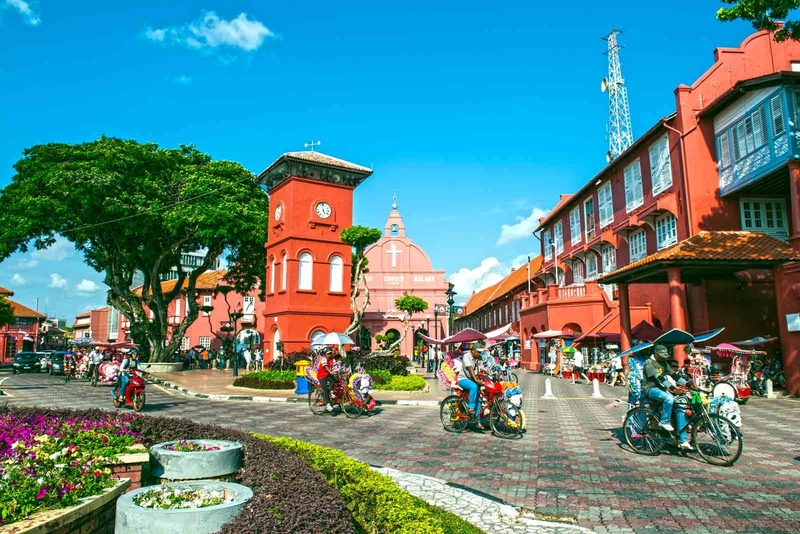 Getting around Walk around in the city of Melaka and explore Melaka colors that is burst of street art that anyone who has been to Malacca would find impossible to ignore. The Malacca River is home to a collection of various artworks and thus, a walk along the river will make you feel like you’re taking a stroll in an art gallery. What to see there? The best way to see the work is simply by wandering around with no fixed direction. If you make the effort to meander down the back-alleys you’ll soon discover a labyrinth of narrow, cobbled streets that weave into one another. Whether you’re looking for street art or not, something will catch your eye; a snapshot of daily life, the highly decorative Chinese temples, bountiful dishes of food, or finally, that piece of street art you’ve been sauntering around in the heat looking for. Insiders’ tips The city center isn’t very big so there’s no need to rush, a part of the beauty of being here is simply to unwind and let the slow pace of life take over your mental state – if you want to press down on the accelerator then go to Kuala Lumpur. We think the street art, especially the large and colourful wall murals by the river add to the relaxing vibe of Malacca. It’s a place that doesn’t take itself too seriously, it’s not trying to be edgy but instead, bohemian and hippies. To see the biggest and most colorful examples take a stroll down the Malacca River until you reach a stretch of buildings brightly painted from top to bottom in murals. There are no reviews on Melaka Street Art. If you’ve been here before, write a review to share your experience.